LG G4 - smart, personalized solutions for simpler, smarter and more intuitive experience. 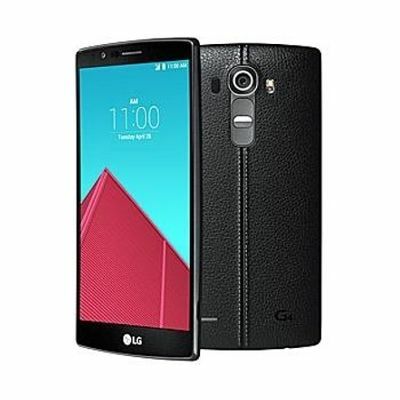 Announced in April 2015, LG G4 is the phone of the era. 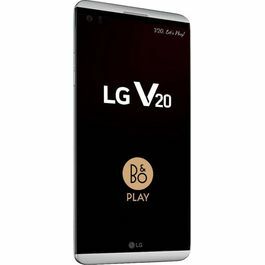 LG is one of the value leaders across numerous product categories and has a reputation for new age technology and digital concepts. People believe that LG products make great difference in their lifestyles and offer them a whole new level of utility and entertainment. LG G4 comes with the Touch of Craftmanship and ergonomic design crafted from enduring materials. The phone has a 5.5-inch Quad HD IPS Quantum Display with 2560 x 1440 resolution and 538ppi. This new smartphone from LG runs on the latest Android 5.1 Lollipop OS. It enables seamless multi-tasking and superfast performance via Qualcomm Snapdragon 808 Processor with X10 LTE. Capture breathtaking pictures with the ground-breaking 16MP rear camera that features F1.8 Aperture, Gesture Interval Shot, Quick Shot and more. LG G4 comes with an 8MP front camera for clicking the best of selfies anywhere and everywhere. The dual SIM phone supports 4G / LTE / HSPA 21 Mbps (3G) networks and has an array of connectivity options including Wi-Fi 802.11 a, b, g, n, ac, Bluetooth 4.1LE, NFC and USB 2.0. 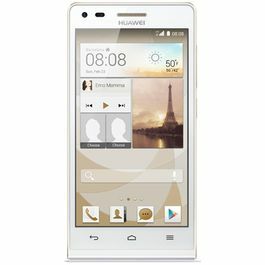 The phone comes with an enormous internal memory of 32 GB, coupled with 3GB LPDDR3 RAM and up to 2 TB expandable memory via microSD slot. It has a 3000 mAh (removable) battery. Mobiles have not just made our lives easy but also filled them with entertainment. 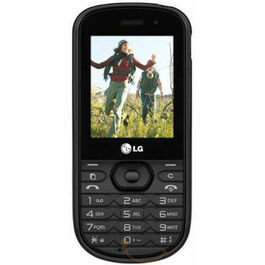 View & shop the latest models of LG Mobiles at very reasonable price. LG G4 - smart, personalized solutions for simpler, smarter and more intuitive experience.Announced in April 2015, LG G4 is the phone of the era. 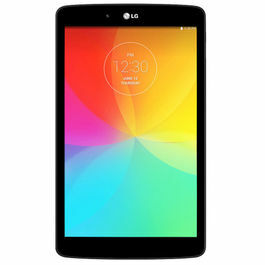 LG is one of the value leaders across numerous product categories and has a reputation for new age technology and digital concepts. 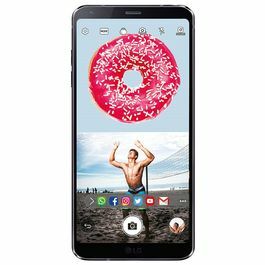 People believe that LG products make great difference in their lifestyles and offer them a whole new level of utility and entertainment.According to gadgets.ndtv, “The LG G4's design features a 'Slim Arc', which runs along its entire body, highlighted by a display with a subtle curvature. 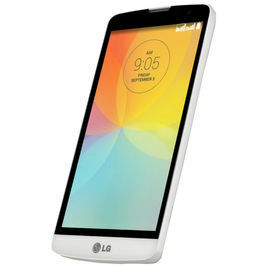 LG claims that Slim Arc offers 20 percent better durability than a flat smartphone in face-down drops, while also offering a better grip.”Team up your LG G4 with these amazing products (recommended, charged additionally) for an out-of-the-box experience:Flashmob Selfie stick with Bluetooth shutter, blackCallmate BH-703A Bluetooth Headset, blackPower Ace Power Bank 10400 mAh With LED Torch, whiteDesign & Display LG G4 comes with the Touch of Craftmanship and ergonomic design crafted from enduring materials. 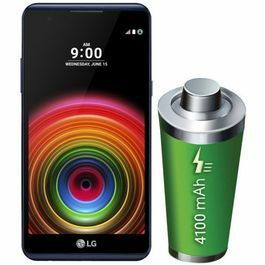 The phone has a 5.5-inch Quad HD IPS Quantum Display with 2560 x 1440 resolution and 538ppi.Processor & OSThis new smartphone from LG runs on the latest Android 5.1 Lollipop OS. It enables seamless multi-tasking and superfast performance via Qualcomm Snapdragon 808 Processor with X10 LTE.Camera Capture breathtaking pictures with the ground-breaking 16MP rear camera that features F1.8 Aperture, Gesture Interval Shot, Quick Shot and more. LG G4 comes with an 8MP front camera for clicking the best of selfies anywhere and everywhere.ConnectivityThe dual SIM phone supports 4G / LTE / HSPA 21 Mbps (3G) networks and has an array of connectivity options including Wi-Fi 802.11 a, b, g, n, ac, Bluetooth 4.1LE, NFC and USB 2.0.Memory & BatteryThe phone comes with an enormous internal memory of 32 GB, coupled with 3GB LPDDR3 RAM and up to 2 TB expandable memory via microSD slot. It has a 3000 mAh (removable) battery. Connect with the world smartly with Lenovo A536. And boast about this one and several other Lenovo's smartphone world!Smartphones that'll go along your standard personality is what LG's smartphone array promises. LG G4 Genuine Leather is the phone with foremost technology and a smart leather back-cover!Android mobile phones have created a revolution in the smart phone market and made it handy for a common man to own a smart phone of his choice.Mobiles have not just made our lives easy but also filled them with entertainment. 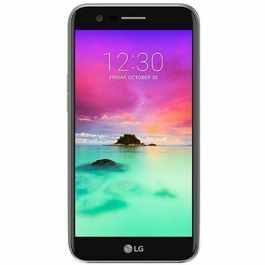 View & shop the latest models of LG Mobiles at very reasonable price.Smarter way of buying smartphones is here; with an expansive range of unboxed mobiles. Infibeam brings you, your choice of phones with the jaw-dropping rates and quality! Product will be delivered for all urban areas serviceable by major courier agencies.For remote/rural areas the product will be sent by local couriers and may take little more time.